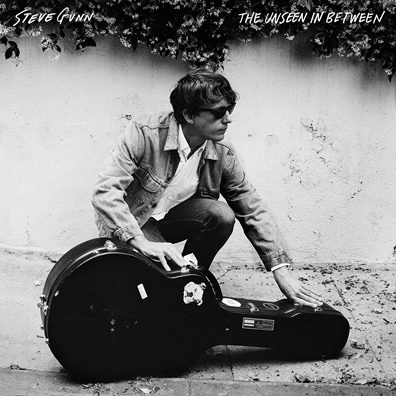 Steve Gunn is indie rock's best kept secret. Across three studio albums—and now a fourth, with his latest, The Unseen In Between—Gunn has resuscitated stylistic elements of guitar playing in a similar vein of J.J. Cale, Jim O'Rourke circa Bad Timing, and a little Jerry Garcia. The latter isn't so much schlepped on Gunn's body of work as it is a sincere and audacious truth. Gunn has studied from guitar-playing iconoclasts and has become fluent in the process. This is in no way an idealistic claim of "main saves music with guitar"—no, Gunn has surpassed that cliché with minimal effort. His work is at times pastoral and homegrown, other times psychedelic and hypnotic. Gunn curates a careful balance of lavish instrumentation with spinning vocal melodies that sound as if they've been lost in a dusty pile of obscure 45s in a vinyl hoarder's basement. Gunn is capable of translating melodies on his guitar's fretboard that leave the listener transfixed at its mere beauty and enthralled by its complexity; The Unseen In Between finds Gunn drifting from the loose aesthetic of its predecessors for something more direct and well-sculpted. Even so, on songs like "New Moon" and "Stonehurst Cowboy," Gunn's technical work slaps a blindfold on you, leading you through a puzzling world of folk-inspired guitar work that Gunn has crafted on his lonesome.